The LG Nexus 5 16GB is available in two colours black & white at a special price of Rs. 29,400/- This 5-inch smartphone, Full HD IPS touch screen, with a sleek build, is packed with a bevy of advanced features and functionalities. It comes with an 8MP OIS camera with HDR+ and a sophisticated high gloss front and matte soft-touch rear finish. 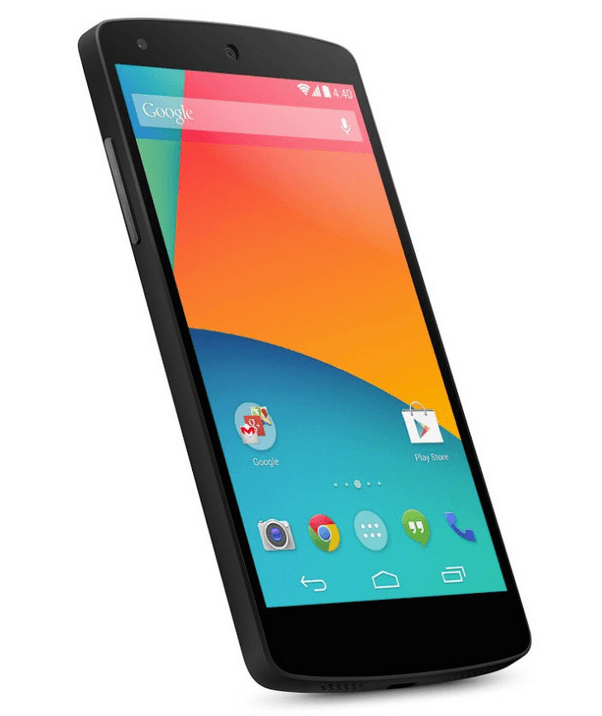 The LG Google Nexus 5 32 GB, is available at a special price of RS 32,350/-. It is powered by the Android 4.4, KitKat operating system. Furthermore, it has a Qualcomm Snapdragon 800 processor with 2GB RAM. The Nexus 5 dons an internal phone memory of 32GB that lends you enough space to carry your data and media files. The phone comes with a 1 year seller warranty. This factory sealed product comes with One Year Warranty from LG India. Pre-bookings for both the models on eBay India also offers free shipping nationally. The product will be shipped starting November 25, 2013. Also available at EMI on ICICI, Citibank and HDFC, credit cards. All purchases are covered under the eBay Guarantee which ensures refund or replacement in case a consumer is unhappy with the purchase. You can buy it directly from the Google Play store as well.